The AIS screen consists of a lighted table-top exhibit with Velcro-backed pictures that attach to a felt backdrop. This was designed as a attractive backdrop for one or more people talking and handing out literature. The AIS screen should be scheduled well in advance and rental is free paying only for the cost of shipping it back. The display screen measures 60" wide by 40" tall, and it arrives in a carrying case that weighs 40lbs. Rental is free but after its use the user must pay for the return of the screen which is usually around $50. The screen is valued at $1,000 for insurance purposes. The AIS Display Screen is scheduled by contacting either Will Plotner via e-mail: gardens@molalla.net for the western part of the country. For the Midwest and East, please contact Ernie Henson via e-mail: erni@midwest.net An alternative to the AIS screen is to build your own exhibit using materials from the AIS Poster gallery below. A selection of decorative attention getting and informative posters which can decorate a booth or be used to create an exhibit. Presently we have 3 large designs available. The posters can be used individually, mounted on poster board to create a trifold display, or however your imagination desires. Each poster is 48" x 24" and was created in MSPowerPoint. A disk can be requested free that can be printed at most Staples, Kinkos or Office Max for somewhere between $10-$30. Clubs may collect posters through time to create colorful backdrops for sales, booths or shows. We invite individuals to design additional posters that we could make available for free on this site. At many Iris shows it is useful to have one-page handouts for answering frequently asked questions that visitors can take home. The following information sheets are available for download. It is suggested that when a club prints these out that they run them through the printer a second time to add contact information for the local club along with the time, place and date of their next meeting. Slide Shows - This is a service for AIS affiliated iris clubs/societies providing the rental of 35mm slide show presentation programs; the purpose is to help these groups supplement their activity programs in an economical way and to provide them with tools to use for garden club and other flower organization programs. There are a wide assortment of program titles available in both traditional and digital formats, and these continually evolve and change. Click Here for more information on currently available AIS Presentations (Slides and Digital Programs). Have additional ideas for Iris exhibits? 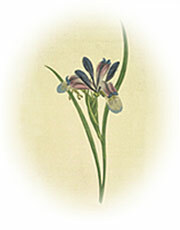 Putting on an Iris show can be easy but does require at least a modicum of planning. A venue must be selected and reserved ahead of time. This may require a certificate of insurance which is available from AIS (see below). An AIS sanctioned show must also be pre-approved by the exhibitions chair so that the show schedule follows AIS guidelines. The templates below will help you create a show schedule in a matter of minutes. It can then be submitted electronically to the exhibitions chair. When approval comes back you will receive an order form for AIS ribbons and show report information. It is a very simple process but must be done far enough ahead to get the approval and subsequently the show materials prior to the show. The exhibitions chair has hundreds of shows to approve so it is courteous to allow as much time as possible. It is easier to cancel a show on the spur of the moment than to create one in that way. 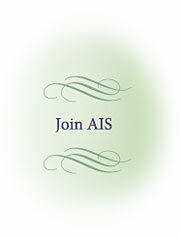 For more information on Iris Shows one should refer to the AIS Judges Handbook. We encourage clubs to be creative but we have a template available that can be used to create a show schedule reasonably quickly and easily (see below). AIS Storefront - Handbook for Judges and Show Officials, Calendars, Checklists, etc.